Rosie Johns (BA 2014) graduated with a First in English Literature. Since leaving, she has her foot firmly placed on the career ladder in the publishing industry. Rosie spared a few minutes to tell us about her time as a student and experience since graduating. Cardiff University’s BA English Literature has a hugely varied mix of modules on offer. You can study gothic literature alongside Old English, medieval literature and contemporary texts, which is perfect if (like me) you don’t really know where your interests lie and don’t want your options to be limited. I fell in love with the city as much as the course itself – everyone is friendly, it’s easy to find your way around, and there’s parks and green spaces everywhere you look. One of the best parts of my degree was discovering my literature likes and dislikes: I found a passion for translating Old English texts like Beowulf that I wouldn’t have known I had, dived into the Gothic genre and appreciated Shakespeare’s plays in a new light. Then there was the sense of community: I became president of the photography society and got into kickboxing, gaining lasting friends and new interests at the same time. I was one of those awful, pushy students always bothering lecturers – and I’d encourage you to be like that too. Being involved, and interested meant I gained extra insight into what I was studying, and heard about events and opportunities that helped me in the long run. My advice will always be to keep your enthusiasm – read as much as you can, and not just the set texts; go to literary events; don’t be afraid to ask questions. I went to Cardiff University knowing publishing was for me, so after a solid three years of work experience, I graduated and went straight to work for F&W Media International, in Devon. 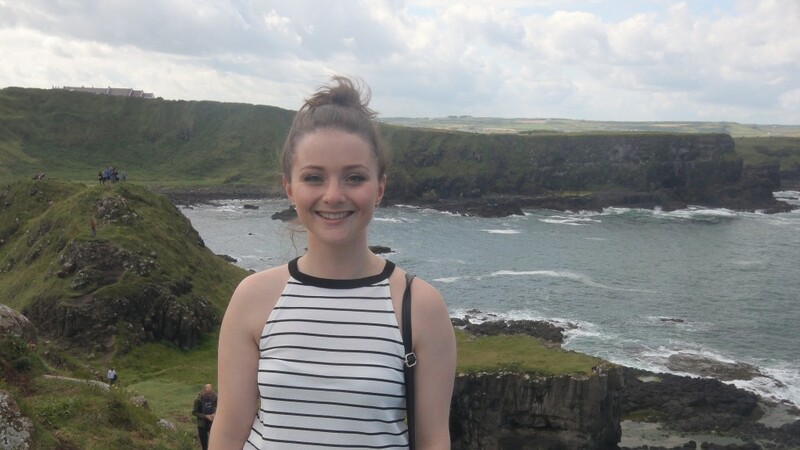 I’ve now moved back to Cardiff working as a Marketing and Communications Officer at independent publishers, Seren. Book marketing has evolved in recent years, so as well as traditional tasks such as crafting press material and engaging with reviewers, I spend a lot of time analysing data and getting into the technical side of things. I also get to read all our books before they’re published, which is one of the best job perks. I like the variation – it’s difficult to get bored when one day you’re planning a book launch in London, and the next you’re crafting the perfect digital campaign. Now that I have my foot firmly in the door of the publishing industry, I’m aiming to advance my career – and read as many great new books as possible in the process!